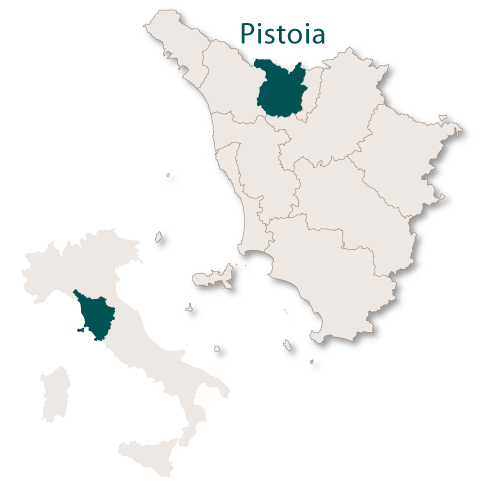 The province of Pistoia has an area of 965 sq.km. 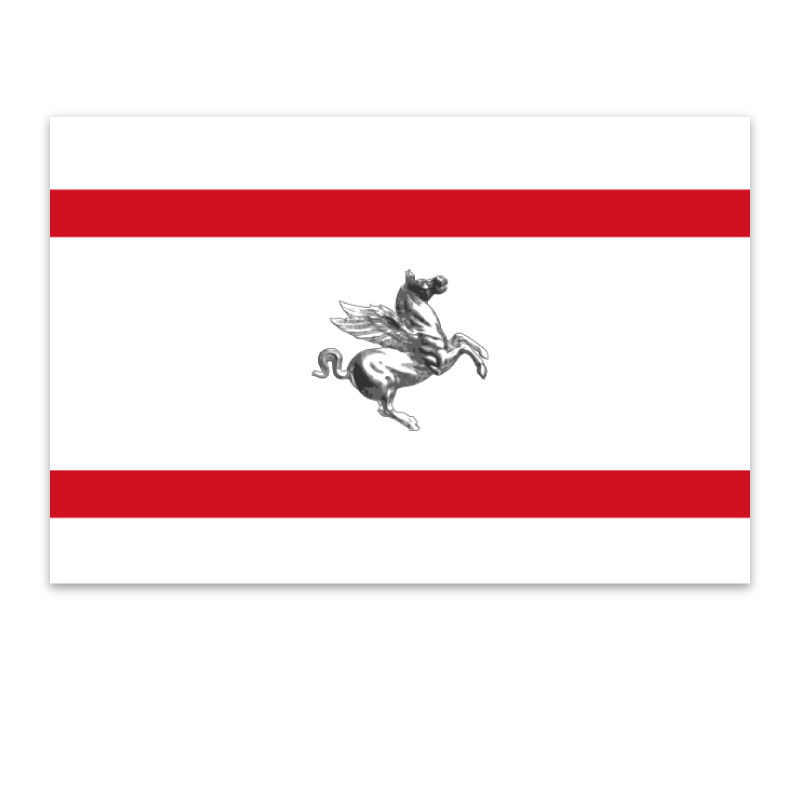 It is bordered to the north by the region of Emilia-Romagna, to the east by the province of Prato, to the south by the province of Florence and to the west by the province of Lucca. 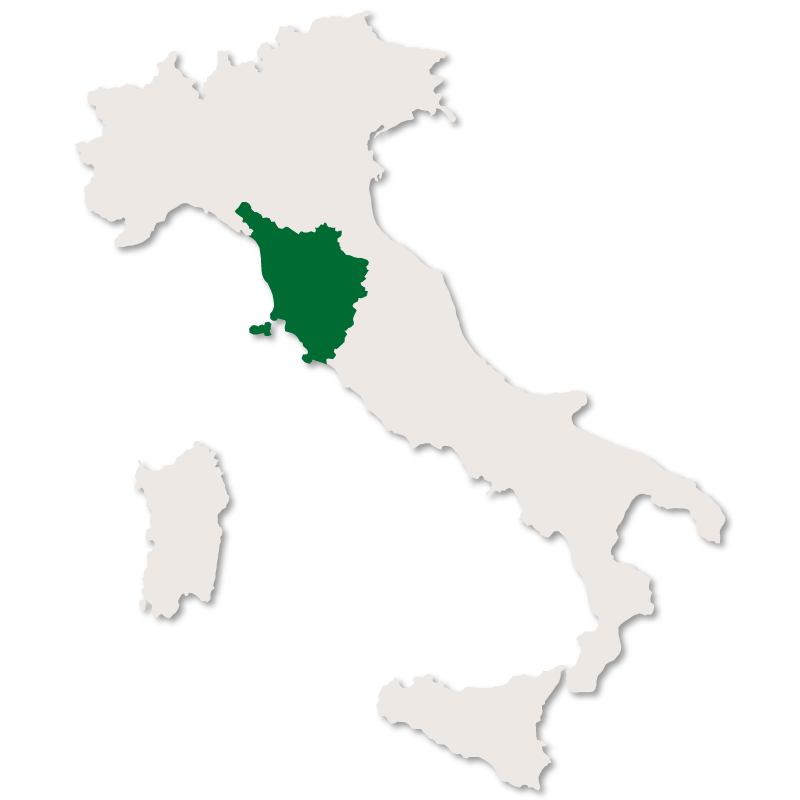 Geographically the province is divided into three sections, the flat area of Piana dell'Ombrone in the south east, the valleys of Valdinievole in the south west and the mountains in the north. 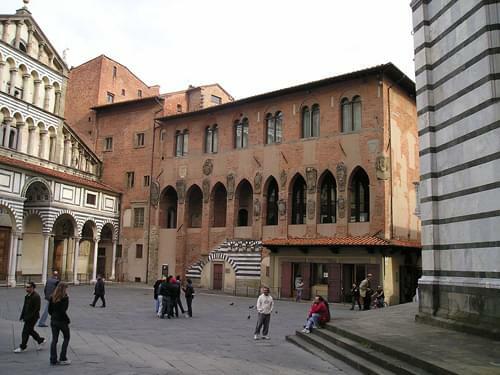 A quintessential medieval Italian city, Pistoia is the capital of the province of Pistoia in the region of Tuscany and is a popular tourist destination. The hisoric centre is in excellent condition and still contained by the old city walls. The walls originally had four gates, Porta al Borgo, Porta San Marco, Porta Carratica and Porta Lucchese, but all were demolished in the early 20th century. 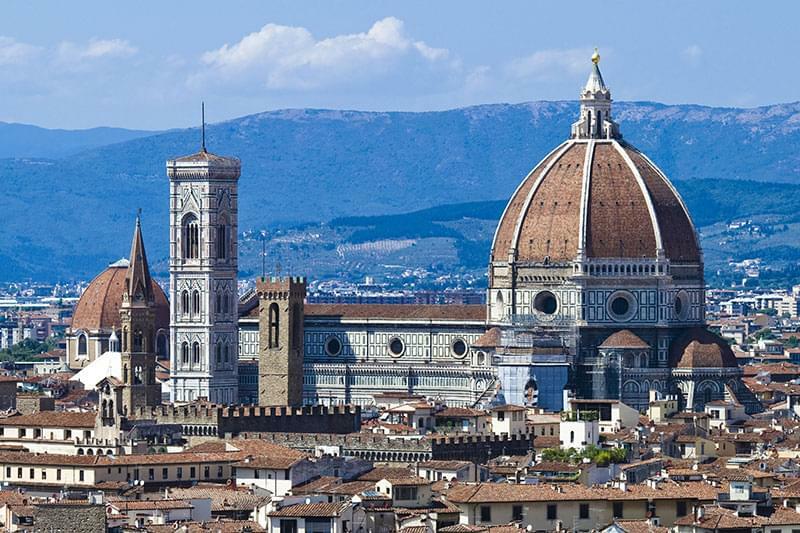 The centre of the old city is the Piazza del Duomo where the Cathedral and other charming medieval buildings line the square. Cattedrale di San Zeno, built in the 5th century but burned down and rebuilt in the early 12th century. It was fully and sympathetically restored in the latter half of the 20th century. The Baptistry, built in the Gothic style during the 14th century. 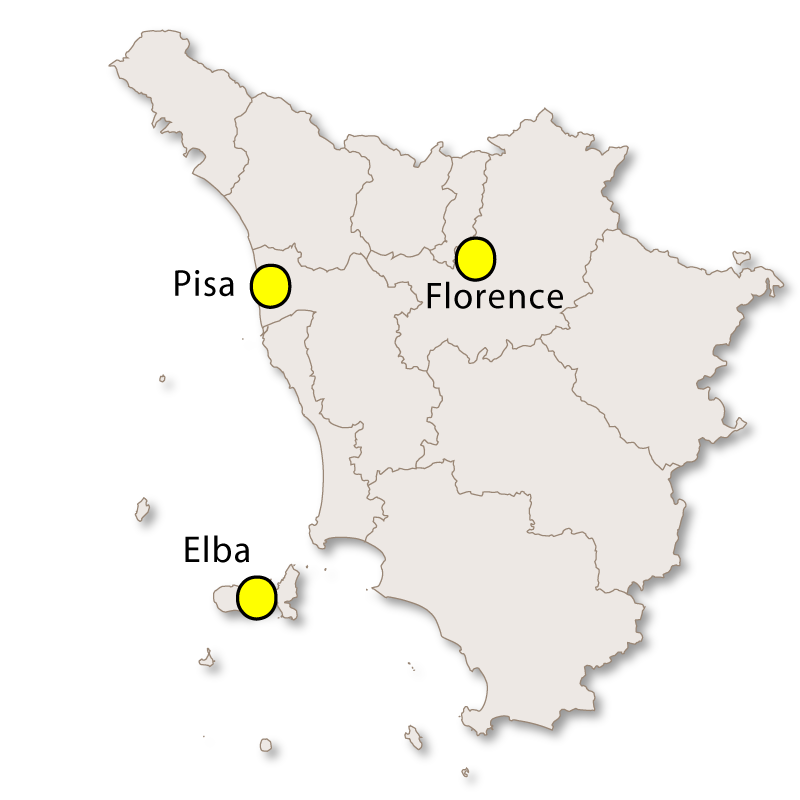 Palazzo dei Vescovi is the Bishop's Palace and was mentioned as early as 1091. The Tower of Catilina stands by the side of Piazza del Duomo and is 30 metres high. Basilica della Madonna dell'Umiltà which is topped by a 59 metre high octagonal dome. Palazzo Panciatichi built in the early 14th century as a fortified private residence. The Medici Fortress of Santa Barbara, dating from the 13th century, destroyed in the 14th century and rebuilt in 1539. It was later used as barracks and a military jail but now acts as a cinema during the summer. This town is split into parts, Monsummano Alta which is the walled historic centre, higher and looks down on Monsummano Bassa which was formed in 1602. 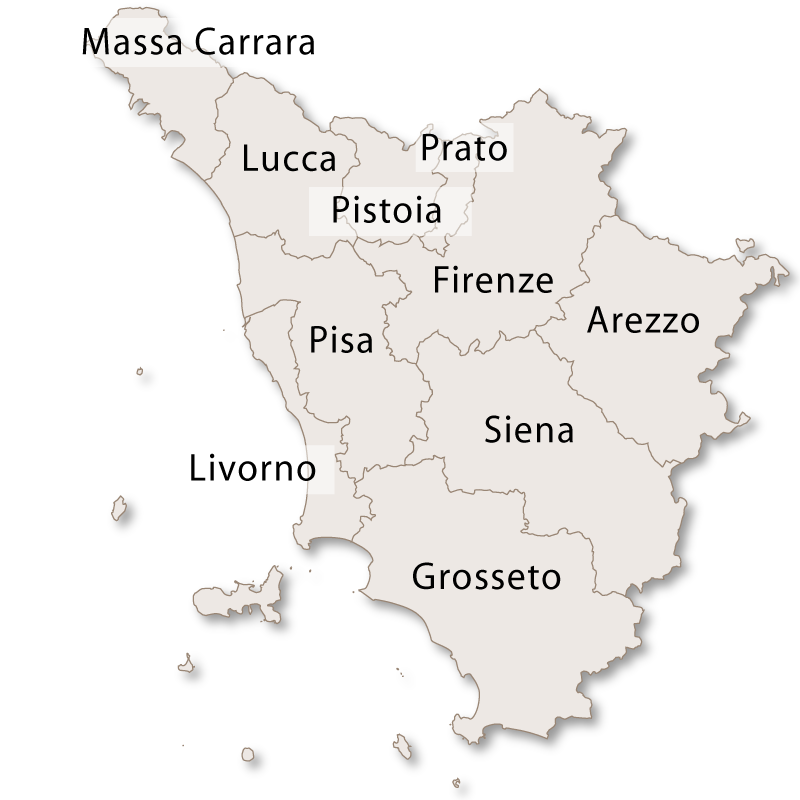 It has a fair amount of interest being a spa town and also have two natural caves, Grotta Giusti and Grotta Parlanti. The Castle and its fortifications which are believed to date back to the 11th century. Today only a single tower and parts of the walls and gates remain. Church of San Nicolao, built in the 12th century and is part of the castle. Sanctuary of Santa Maria della Fontenuova from the 17th century. Church of San Michele e Lorenzo. Another important medieval spa town with a thriving tourist industry. 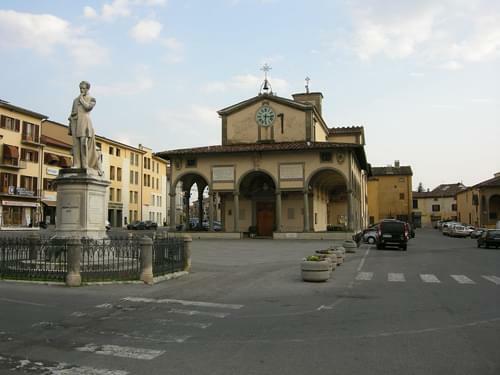 It began at the end of the 19th century when the healing quality of the waters became known and well known people such as Giuseppe Verdi begain to frequent the town. 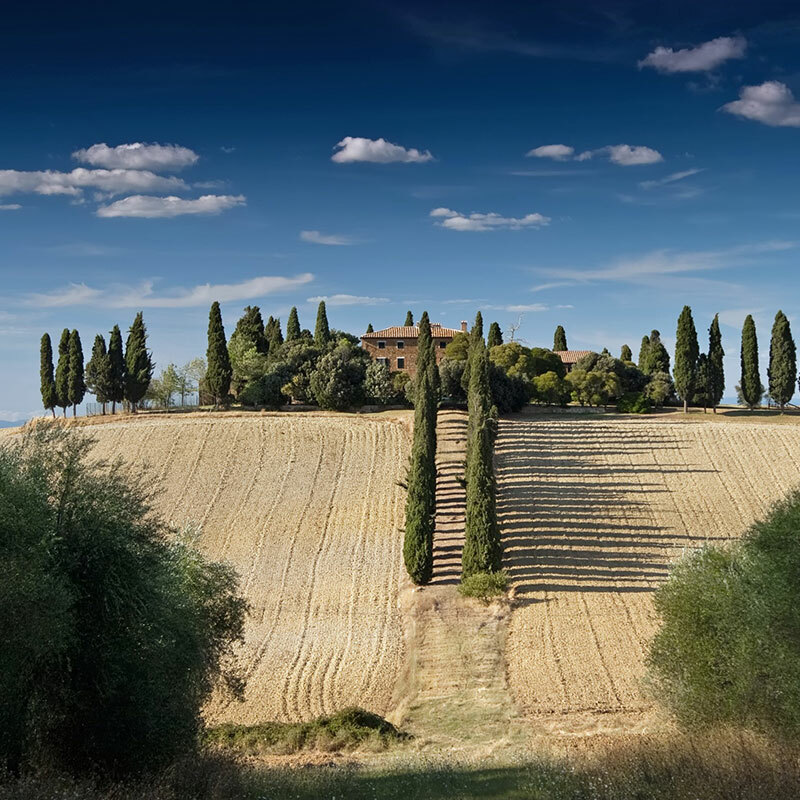 It quickly grew with hotels, restaurants and fashionable bars springing up and today it is one of the most popular spa destinations in Italy. 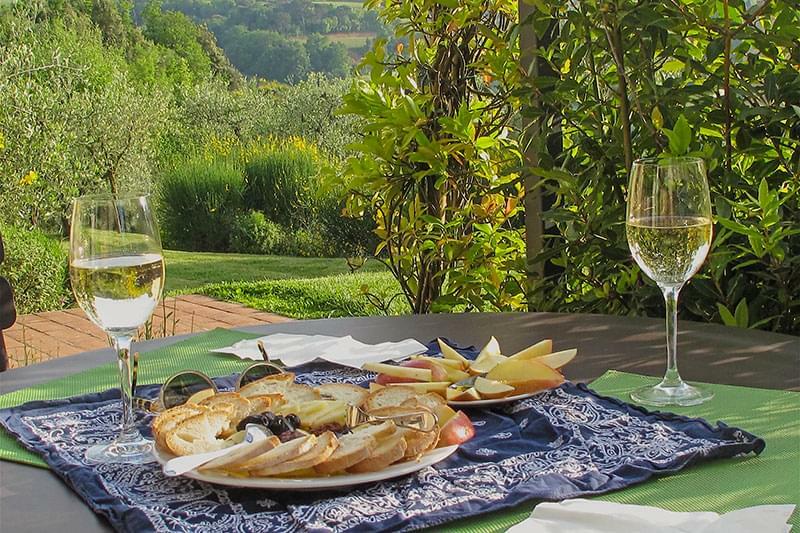 Situated on the banks of a river between Florence and Lucca, Pescia is known for its cultivation of flowers and olives. Cathedral of Santa Maria Assunta dating back as far as the 5th or 6th century but have been rebuilt many times over the years. 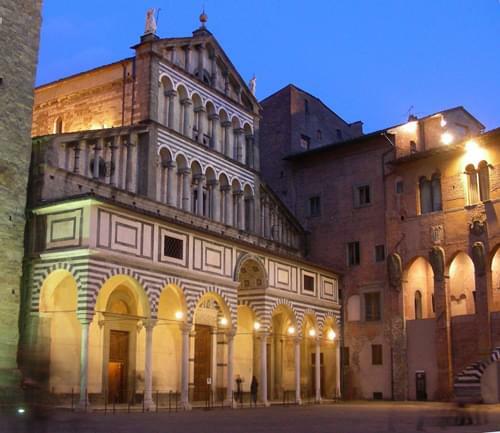 La chiesa di San Francesco, built in the 13th century and dedicated to Saint Francis of Assisi. Palazzo del Vicario built around the end of the 13th or beginning of the 14th century and is now the Town Hall. 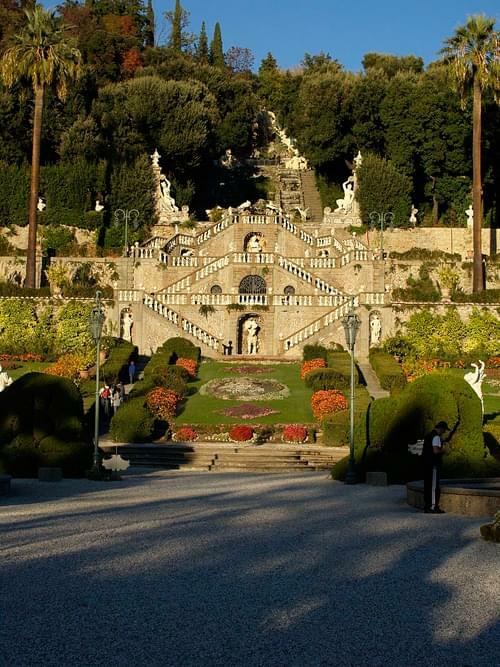 The Villa Garzoni and its gardens which are situated in the village of Collodi, just a few kilometres from Pescia. The Old Flower Market which was erected in 1951.